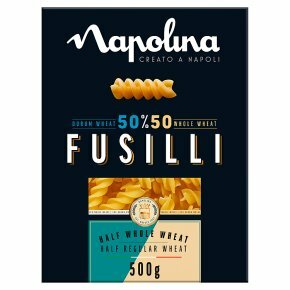 Napolina regular pasta with hidden whole wheat. 50% durum wheat and 50% whole wheat durum semolina. Suitable for vegetarians.